What role do you see yourself filling as a pro athlete? To have a voice is one of the most powerful things you can do: Stand up for yourself, stand up for your community. I try as much as possible to integrate myself with able-bodied athletes, and I think that’s what we’ll see more disabled athletes doing. You still have the Olympics and the Paralympics, but I train with an able-bodied running group. I think that’s when you push yourself to be the best you can be. One of the things I love doing most is going out and speaking to kids and really educating people because knowledge is power. When you give kids the opportunity to ask questions, whether they’re about being in a wheelchair or using a racing chair or the equipment I run in, you’re really just providing knowledge. That’s going to make these kids much more aware, so the next time they do have an encounter with someone who’s a disabled athlete, they’re going to be comfortable around them. Everyone asks, “What’s your key to success? How have you gotten to this point?” I always say that I really just have fun with it. Chicago, IL (August 21, 2014) – Paratriathlon star Mary Kate Callahan has been named Variety the Children’s Charity of Illinois’ first Live to Achieve program ambassador. 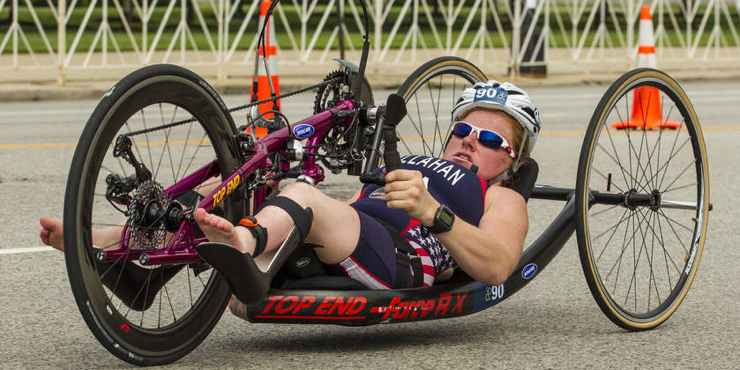 Callahan, of La Grange, IL is well on her way to achieving her dream of representing the United States in the 2016 Paralympic Games in Rio de Janeiro, Brazil. 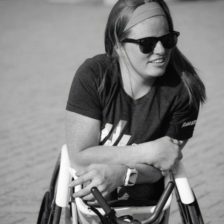 To help her realize this goal, Variety of Illinois will provide Mary Kate with the financial assistance necessary to train, travel and compete over the next two years leading up to the Paralympics. 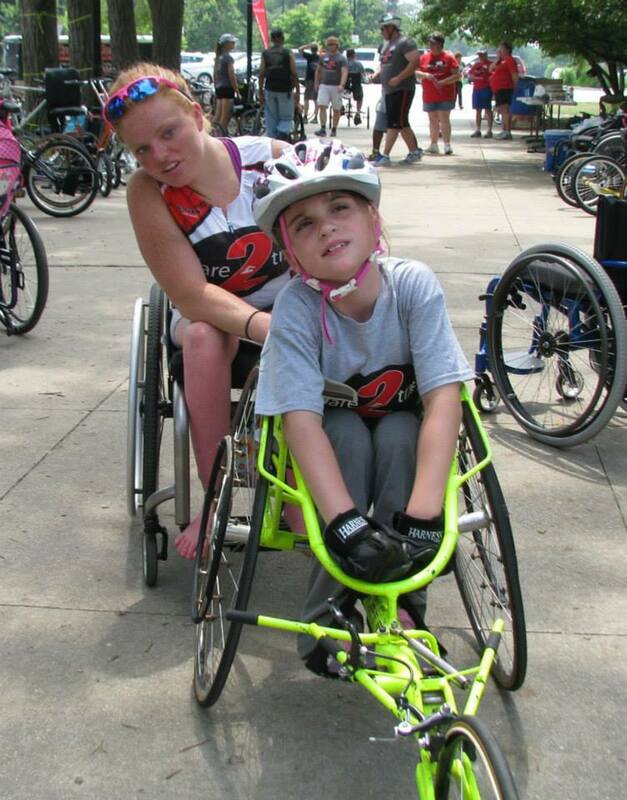 Mary Kate will serve as the first ambassador for Variety of Illinois’ Live to Achieve, a grant program that promotes active, healthy lifestyles for children with disabilities around the state. In this role, Mary Kate will promote Variety’s groundbreaking grant program through public appearances, social media, and sharing the Variety message at competitions, regionally, nationally and worldwide – including the upcoming World Championships in Edmonton on August 30th and the National Championships in Tempe on September 21st. The former Fenwick standout is preparing to begin her sophomore year at University of Arizona, where she has excelled with the collegiate team, the Tricats. More on Mary Kate’s inspirational story is available by clicking here. The Live to Achieve program helps children in Illinois pursue their dreams of sporting excellence by providing grants to eligible applicants for assistance with travel, training and other costs necessary to help pave the way. For children with disabilities who have the potential to become great athletes, the time, training and travel it takes to achieve that level of greatness – from the local, state, national to Paralympic stages – takes resources…resources that many families don’t have. Variety of Illinois launched the Live to Achieve grant program to help fill that gap. I’m so excited for the opportunity to be teaming up with PR Nutrition! PR Nutrition’s Bar is the official Performance Bar of the U.S Olympic and Paralympic Teams! If you haven’t already- go and try their bars! They are perfect for before or after a training session!